The Coahoma High School powerlifting team showcased their muscles Saturday at their host meet and walked away with six individual medals and a second place finish for the boys team. Overall, the Coahoma boys earned 33 total points for the runner up position out of a field of 12 schools. Hawley came in first with 34 points in the boys division, Big Spring earned third with 23 points, and Stanton was fourth with 23 points. Snyder rounded out the top finishers with 22 points to snag fifth place. Individually, Coahoma powerlifter Cailey Glover continued her strong season by placing first in her weight class. Her three-lift total was 710 pounds. She squatted 300 pounds, benched 140, and pulled 270 on the dead lift. Earning points for the Coahoma girls team were Sidney Rinard, who placed fourth, Madison Rogers and Megan McDonald, who both placed fifth. The girls team finished eighth out of 12 schools. Big Spring took the match in the girls division. The Lady Steers earned 26 points. Midland Greenwood was second with 25 followed by Forsan (23), Synder (22), and Hawley (22). On the boys side for Coahoma, Daniel Vela-Wences and Bobby Zambrano also brought home the gold with first place finishes in their respective weight class. Vela-Wences lifted 170 in squat, pumped 115 on the bench, and pulled 190 in the dead lift for a total of 475 pounds. Zambrano pumped a total of 1,375 pounds of iron. He squatted 535, benched 375, and pulled 465 on dead lift. Placing second in their individual weight classes were Keegan Dobbs and Braxton Chandler. Dobbs lifted 505 on squat, 275 on bench, and 465 on dead lift for a total weight of 1,245 pounds. Chandler was credited with lifting a total of 860 pounds. He squatted 325, benched 185, and pulled 350 pounds on dead lift. Patrick Gutierrez rounded out the medal count for Coahoma placing third in his weight class. Gutierrez’s lifts total 800 pounds. Josh Ruiz, Isaac Murillo, and Alejandro Gonzales placed fourth in their individual weight classes earning points for their team. 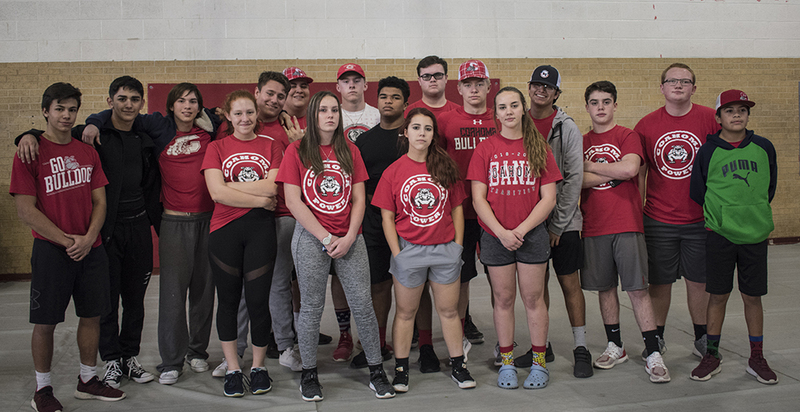 The CHS powerlifting team will return to competition on Feb. 9., for the Reagan County meet. Results are listed in order by class, standing, school, squat, bench press, dead lift and total weight.